To practise the past perfect tense, sentence structures and time linkers. A little bit of creative and group work. Key included. As a group work or individually. The present printable, downloadable handout is recommended for business/professional students, high school students and adults at Pre-intermediate (A2), Intermediate (B1) and Upper-intermediate (B2) level. 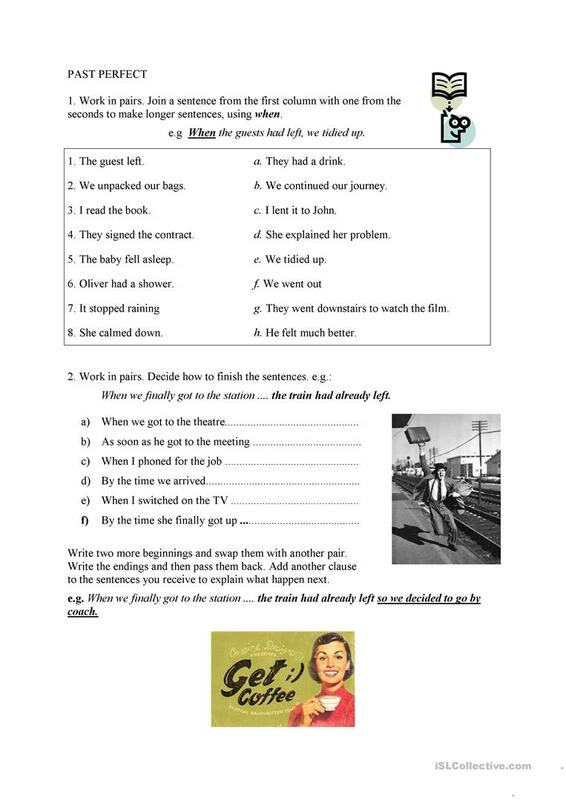 It is great for consolidating Past perfect simple tense in English, and was designed for improving your groups' Spelling, Speaking and Writing skills. You will find the answer key at the end of the worksheet.